On Thursday, The New York Times ran an editorial entitled “Mahmoud Abbas Gives Up on Peace” about Abbas’ speech to the UN General Assembly the day before, in which he said that he would no longer honor the Oslo Accords because Israel has been systematically violating them for years. Please consider responding to this unfair editorial by writing a letter to the editor to the Times using the instructions and suggested talking points below. Also enclosed below is an excerpt from the Times’ website providing guidelines and advice for letter writing. Note that letters should be between 150-175 words and can be submitted by email at letters@nytimes.com. · Stick to the word count. If you go over the maximum word count editors will most likely either dismiss your letter out of hand, or edit it themselves without consulting you prior to publication. · If you have some personal connection to Palestine or Israel, such as family living there or you recently visited, it would be good to mention it at least in passing. · Try to change the wording/phrasing of the suggested talking points included below, so that letters are more in your own personal voice. · Make sure to include your name, address and phone number so that editors can contact you if necessary. · Mahmoud Abbas has not "given up on peace." He has, it appears, given up on a failed US-sponsored negotiations process that was stacked in favor of Israel from the start. · No one wants peace more than the Palestinians do because no one suffers more from a lack of peace. · Palestinians just want to live in freedom and with dignity, and to provide a bright future for their children, just like everyone else. · Oslo has been an unmitigated catastrophe for Palestinians and will never lead to a permanent peace in the region because it was designed to deny, rather than realize, fundamental Palestinian rights and freedoms. · Oslo was intended to streamline Israel’s occupation, not end it. 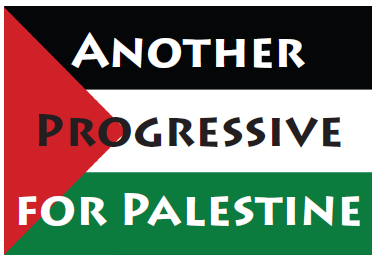 · Instead of leading to Palestinian freedom, Oslo entrenched a system of apartheid whereby Palestinians are subject to brutal Israeli military rule while Israeli settlers living nearby on stolen Palestinian land enjoy the full rights and privileges of Israeli citizenship. · In spite of nostalgic talk of noble pioneers like Yitzhak Rabin, no Israeli government - even Rabin's - ever stopped building Jewish settlements on occupied Palestinian land, which is the single greatest reason that Oslo failed. · Today, there are about 650,000 Israeli settlers living in occupied East Jerusalem and the West bank. · Most Palestinians realized a long time ago that Oslo is a disaster, Abbas is just now catching up with that reality. Evidently Times editorial writers have yet to grasp this self-evident truth, or perhaps are just not interested in Palestinians being free.